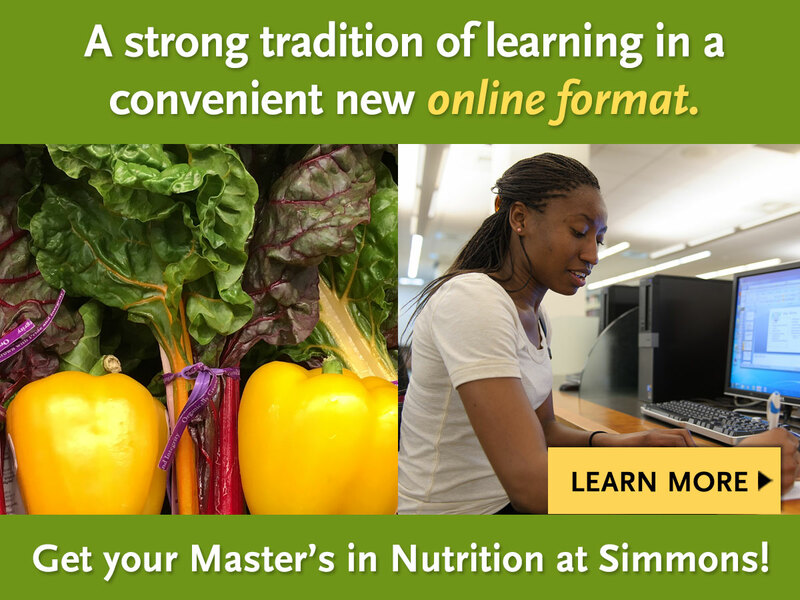 Join the Online MS in Nutrition degree program at Simmons! Subject: Join the Online MS in Nutrition degree program at Simmons! Move your career forward with the MS in Nutrition and Health Promotion fully online degree program! Following our trusted, proven curriculum and featuring courses taught by faculty recognized as leaders in their field, the 31 credit online degree program is available for full or part-time students. Move your career forward with our innovative and versatile MS in Nutrition and Health Promotion program - now available online for full or part-time students! Our online program delivers our renowned nutrition degree in an innovative, fully online format. This program enables working professionals to earn their MS while honoring their professional and personal commitments. You'll learn from our expert faculty who are recognized as leaders in their fields and pride themselves on being personal mentors. Join us on May 8 for a Virtual Information Session about the program. Hear from the SNHS Admission staff regarding tips and techniques on applying to the program and hear from Ruby Winslow Linn Professor and Chair, Nutrition Department, Dr. Elizabeth Metallinos-Katsaras about the curriculum and career pathways. Register now! 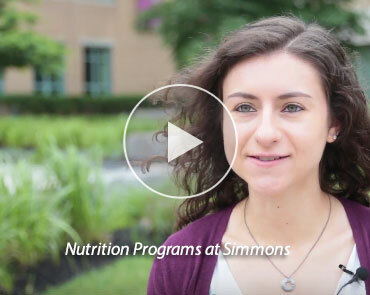 At Simmons, we have a long history of providing quality graduate programs in Nutrition, and our students are passionate about helping others live healthier lives. Whether you are a Registered Dietitian looking to earn a graduate degree for career advancement or just entering the field of nutrition, let our convenient online program help you reach your professional goals. Start full or part-time in Fall 2018! The application deadline for Fall 2018 is June 1, 2018. Apply to the Online MS in Nutrition and Health Promotion program today and make your move to Simmons! Preparing the Future Leaders of Healthcare.